This skirt is made up of sheer teal and white scarves attached to an extra sparkly teal iridescent sequin stretch elastic. 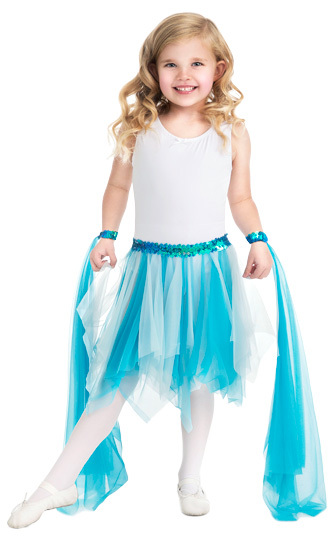 It is easy on/easy off for pretend play or dance wear. Even better, both Wrist Scarves are included in this set! Washable and durable.